There is an increasing interest in distributed machine learning algorithms. A gossip learning algorithm was proposed that works on a random graph with fully distributed data. The goal of our research is to analyse the behaviour of this algorithm on clustered graphs. Experiments show that this algorithm needs to be modified in order for it to work on clustered graphs. A triangulation technique was introduced. It modifies the original peer sampling algorithm and is used to limit model exchange between different clusters. Results show that with such algorithm it is possible to find models of local objective functions. may not be delivered at any time. Systems designed for this environment are usually robust and scalable, since no central servers are needed. Adding more computation resources to such system is the same as adding more peers. These systems usually consist of a large number of peers that communicate by passing messages to each other. Furthermore, such P2P systems can offer security to some extent. They could be used to protect sensitive data such as personal data, preferences, ratings, history, etc. by not disclosing it to other participants. For example, in P2P the data could be completely distributed, so that each peer knows only about his data. In such case, an algorithm could be run locally and only a result of an algorithm could be shared among peers. This may ensure that there is no way for peers to learn about the data kept in other peers. This security characteristic of P2P networks can be used to build machine learning algorithms on fully distributed data. Mark Jelasity et al. in their work  present such algorithm that uses gossiping for sharing predictive models with neighbour peers. We can assume that in this algorithm a random walk is performed in the P2P network. During this random walk, ensemble learning is performed, that is, model built during the random walk is merged with the local model stored at each peer. After merging two models, a merged model is then updated with the local data (which is stored at each peer) and then used in the next step of a random walk. Mark Jelasity et al. conclude that in P2P networks that form a random graph such algorithm converges. Moreover, they state that this algorithm is more effective than the one that gathers the data before building the prediction model. It is so because peers exchange only models that may be considerably smaller than the data. after more iterations every peer will have a model that represents the data on every peer. We designed and implemented a graph generating tool that generates random and clustered graphs. R. Ormandi, I. Heged-Hus, and M. Jelasity. Gossip learning with linear models on fully distributed data. Concurrency and Computation: Practice and Experience, 2012. Multicast operations are the operations that are sent from one process to a set of processes and the membership of a group is usually transparent for a sender . However simple multicast protocol does not guarantee any ordering or message delivery. Therefor, stronger assumptions should be made in a frame of the nowadays distributed systems, such as, reliability. Some systems  relies on the reliable multicast, in which any transmitted message is either received by all or none processes. In other words, there could not be a situation where a client accesses a server just before it crashes and observe an update that no other server will process. This property is called uniform agreement. Moreover, to maintain a consistent and fault-tolerant system a total order assumption should be made additionally to reliable uniform multicast. • Validity. If a correct process TO-multicast a message m, then it eventually TO-delivers m.
• Uniform Agreement. If a process TO-delivers a message m, then all correct processes eventually TO-deliver m.
• Uniform Integrity. For any message m, every process TO-delivers m at most once, and only if m was previously TO-broadcast by the sender. • Uniform Total Order. If two processes,p and q, both TO-deliver message m and m’, then p TO-deliver m before m’, if and only if q TO-delivers m before m’. If all these properties satisfied then reliable total order multicast takes place. Uniformity in the system is presented as not allowance to deliver a message out of order by any process at any time. Internally in NOMX, multicast communication is used for most of the subsystems as it is the only fast and reliable way to guarantee consistency and agreement within all nodes with minimal cost. Although there are three main ways to maintain total order, e.g., symmetric messaging, collective agreement [Birman and Joseph 1987], sequencer based [Kaashoek 1989]. The system that I am developing within my master project uses the single sequencer ordering mechanism as the more efficient in comparison to the consensus one. The simpliest presentation of the total order ordering is illustrated on the picture down. This figure shows that no matter when the messages were issued they will be delivered in the same order to all the processes. For the sequenced mechanisms the main problem is a possible bottleneck and critical point of failure in sequencer part. Moreover, sequencer may limit the scalability of the system. It can be overcomes using the replicated standby sequencer that is delivers all messages issued by the primary one and takes over in case of failure. George F. Coulouris, Jean Dollimore, and Tim Kindberg. Distributed Systems: Concepts And Design. Pearson Education, 2005. ISBN 9780321263544. Xavier Défago, André Schiper, and Péter Urbán. Total order broad- cast and multicast algorithms: Taxonomy and survey. ACM Com- put. Surv., 36(4):372–421, December 2004. ISSN 0360-0300. URL http://doi.acm.org/10.1145/1041680.1041682. Vassos Hadzilacos and Sam Toueg. A modular approach to fault-tolerant broad- casts and related problems. Technical report, 1994. L. E. T. Rodrigues, H. Fonseca, and P. Verissimo, “Totally ordered multicast in large-scale systems,” in , Proceedings of the 16th International Conference on Distributed Computing Systems, 1996, 1996, pp. 503–510. S. K. Kasera, J. Kurose, and D. Towsley, “Scalable reliable multicast using multiple multicast groups,” SIGMETRICS Perform. Eval. Rev., vol. 25, no. 1, pp. 64–74, Jun. 1997. GENIUM Data Store (GDS) is a system I am working on for my Master thesis in NASDAQ. To achieve performance goals, GDS leverages the high-performance of GENIUM INET messaging bus. GENIUM INET messaging bus is based on UDP multicasting and is made reliable by totally ordered sequence of backed up messages with a gap-fill mechanism using rewinders. As it is well known, a total order broadcast algorithms are fundamental building blocks for fault-tolerant systems construction. The purpose of such algorithms is to provide a communication primitives that allows processes to agree on the set of messages and order that deliver. NASDAQ OMX implementation of this abstraction assumes a perfect failure detector, e.g. it forces a process to fail if it was considered faulty. Moreover, uniform reliable total order is preserved, where a process is not allowed to deliver any message out of order, even if it faulty. The receivers of the ordered messages should guarantee exactly-once delivery to the applications for each message, this way uniform integrity is guaranteed. 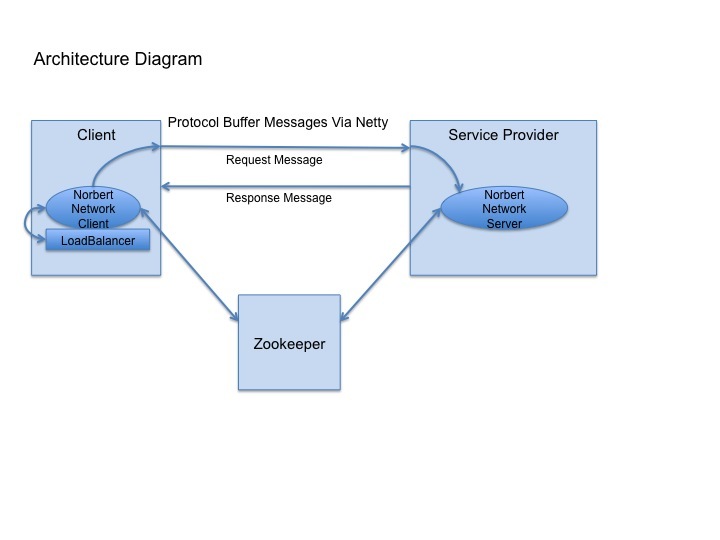 Across the cluster of applications/clients and servers connected to the message stream, messages should be delivered in the same order. The message stream can be configured without restriction, so that it can contain any number of various clients that can be placed on the same or different server, with defined replication level. The server/sequencer is responsible for the sequenced/ordered stream creation as an output from received clients’ messages. All message callbacks are fully deterministic and replayable (if single-threaded), as the incoming stream is identical each time it is received. Replication can be adopted by installing the same receivers at multiple servers. As long as the new primary rewound to the same point as the failed one, the message stream is sufficient to synchronize state. GDS uses the privileges of the described above infrastructure and a priory maintain a fault-tolerant real-time system. Moreover, the distributed state is made consistent by adhering to the sequenced numbering implied by the message stream. In a GENIUM Data Store, transactions are submitted through the MoldUDP, therefor it ensures the lowest possible transaction latency. MoldUDP is a networking protocol that makes transmission of data messages efficient and scalable in a scenario where one transmitter and many listeners are present. It is a lightweight protocol that is built on top of UDP where missed packets can be easily traced and detected, but retransmission is not supported. Some optimization can be applied to make this protocol more efficient: (a) multiple messages are aggregated into a single packet – to reduce network traffic, (b) caching Re-request Server is placed near remote receiver – to reduce the latency and bandwidth. MoldUDP presumes that system consists of listeners, which are subscribed to some multicast groups, and server, which transmits on those multicast groups. MoldUDP server transmits downstream packets through UDP multicast to send normal data stream addressed to listeners. MoldUDP server sends heartbeats periodically to clients, so they can retrieve information about packet loss if it takes place. Moreover, listeners should be configured with IP and port to which they can submit the requests. Note: message in this context is an atomic piece of information that is carried by the MoldUDP protocol from 0 to 64 KB. In GENIUM Data Store, read query support will be maintained. That is why, TCP-like protocol is intended to be used to stream the data to the client in response to the submitted query. SoupTCP is a lightweight point-to-point protocol build on top of TCP/IP sockets. This protocol allows to deliver a set of sequenced messages from a server to a client. It guarantees that the client will receive all messages sent from a server strictly in sequence even when failures occur. Server functionality with SoupTCP includes: (a) clients authentication on login and (b) delivery of a logical stream of sequenced messages to a client in a real-time scenario. Clients sends messages to a server which are not guaranteed to be delivered in case of failures. That’s why the client will need to resubmit the request to the server. Client opens a TCP/IP socket to the server with login request. If the login information is valid – server responds with accept and starts to send sequenced data. Both client and server compute message number locally by simple counting of messages and the first message in a session is always 1. Link failure detected by the hearbeating. Both server and client send these messages. Former is required to notify a client in case of failure to reconnect to another socket. Later is necessary to close the existing socket with failed client and listen for a new connection. Distributed Systems, Reviews Tagged with: PNUTS, Timeline Consistency, Yahoo! PNUTS is a parallel and geographically distributed database system for serving web application with per-record consistency guarantees. Main concerns in the system are availability and low latency, this way consistency is tuned according to the fault-resilience and geo-replication is supported for latency reduction during the multi continent reads. PNUTS is focused on serving web application, rather that complex queries, this was a simple relational model is exposed to the users. To stabilize robustness of the systems, different levels of redundancy are used that exhaust consistency against high availability during failures. Pub/Sub paradigm (Yahoo! Message Broker) is used for the asynchronous operations. Data is organized into tables of attributed records, where schemas are quire flexible and can be changed without halting any operations. Moreover, the query language is quite simple and limited. It is limited to the selection and simple projection from a single table. However, this provides more flexible access compared to the hashes and ordered data, as they claimed. 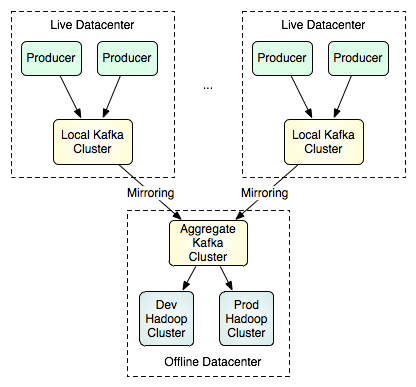 Data table are horizontal and partitioned into groups across different servers. To determine the location of the tablet record and storage unit, routers are used, which contains only of cached copy of the mapping, while tablet controller owns that mapping. Replication is based on the asynchronous messaging and ensures low latency. Data updates are considered committed only if it is published to the Yahoo! Message broker (YMB). It is guaranteed that after the commitment other YMB, updates will be asynchronously propagated to the appropriate regions. However, this guarantees only partial ordering. Messages published to one YMB are guaranteed to be delivered in the arrival order, while messaged arrived to the different YMB instances can be delivered in any order. For this reason, timeline consistency is used for such commits. This consistency supported by the presence of per record master whose order is preserved to be the order of delivery on every replica. Based on the replication, faults recovery are maintained. Copying is used for the recovery of lost tablets. Also checkpoint mechanism is issued after the copy request to ensure applicability of the current updates. The most interesting thing is a multiget processing, that is based on the scatter-gather engine and is a component of the router. Here, router splits the request into parts and then gather the results on arrival. Designing architecture from scratch may require some tools and approaches to put all the things together. High-Level structure of software can be illustrated/represented variously, and one of the approaches is to make an Architectural Blueprint with 5 different views to the system [by Philippe Kruchten]. Logical View – an object model of the design. Process View – concurrency and synchronization aspects. Physical View – mapping of the software to the hardware. Development View – static organization of the software. Use Cases – various usage scenarios. Serves the functional requirements and decomposes the system into a form of objects and object classes. Class diagrams and class templates are usually used to illustrate this abstraction. Common mechanisms or services are defined in class utilities. Keeping a single, coherent object model across the whole system is a general advice when building a logical view. It takes into account non-functional requirements, performance and availability, concurrency and distribution, system integrity and fault-tolerance. it can be represented as a high level view to a set of independently executing logical networks of communication programs that are distributed across a set of hardware. A process is a group of tasks that form an executable unit and which can be (a) tactically controlled, (b) replicated, (c) partitioned into a set of independent tasks: major and minor (cyclic activities, buffering, time-outs). It represents software module organization on the software development environment. It consists of libraries and subsystems representation. The subsystems are organized into the hierarchy of layers with well-defined interface. Overall, this view is represented by module and subsystem diagram, showing the export/import relationships. Also it takes into account internal requirements. Layered style is recommended for this view. It represents non-functional requirements such as availability, reliability, scalability and performance. It shows how networks, processes, tasks and objects are mapped onto the various nodes. validation and illustration role after the architecture design is complete, also it can be used as a starting point for the tests of an architectural prototype. It uses the components of the logical view with connector’s elements from the Process view for the interaction between the objects. The system should provide a functionality to insert, modify and read the data. One instance of the data store should handle 250 000 messages per second, where each message is no more than 200 bytes. A query for a record, with a unique index, should be returned in no more than 10 milliseconds with a 10 billion records database. The capacity of a given response stream should be 100 Mbps. The response streaming capacity of a datastore server should be 300 Mbps (divided across several clients), while receiving 100 000 messages per second. A transaction should be acknowledges on the message bus within 100 microseconds. Fail over within 30 seconds on the same site. It is important to note that consistency and fault-tolerance is an important part when building distributed systems, however the leverage of the internal NASDAQ OMX messaging system INET provides a build-in support for this functionality. In the further posts (at least I really hope 🙂 lol) I will discover how the load will be handled and which techniques will be used to provide a high availability level and specific faults recovery.